Hansen All-Rubber Railroad Ties – About Hansen Industries Worldwide, Inc.
About Hansen Industries Worldwide, Inc.
Steve Hansen, the inventor and patent holder of the recycled rubber railroad tie, got the idea while working in the used tire and railroad industry for many years. He formed a team that manufactured prototypes of the recycled rubber tie and had them tested to meet railroad industry standards (AREMA). Hansen Industries Worldwide, Inc. has the exclusive right to include crumb rubber in the manufacturing of the rubber tie under a United States patent (US6,766,963B2) and under several international patents. This represents a market share of 7% of the ties replaced in the United States annually. 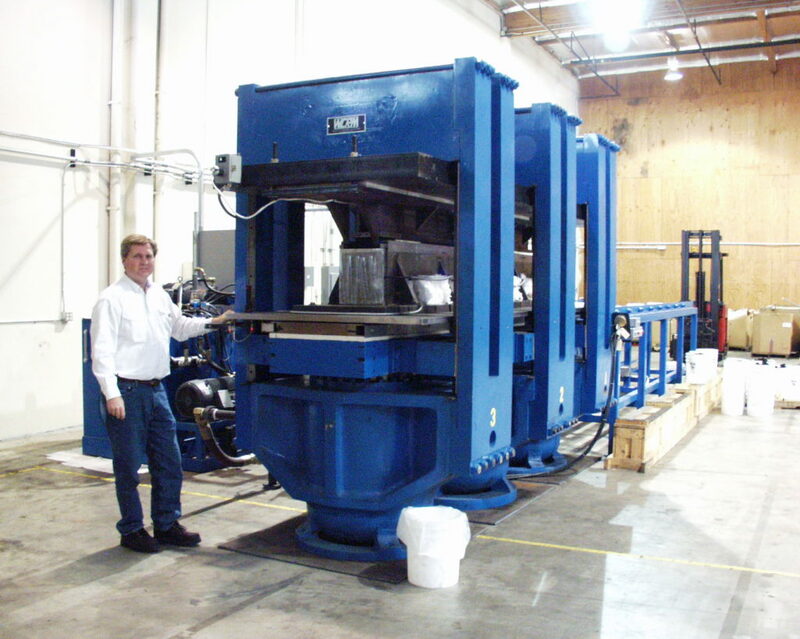 Steve Hansen has been in the wholesale salvage and recycling of used tire business for over 40 years and has helped design Recycled Crumb Rubber (RCR) plants for RCR facilities. He is the inventor of the Hansen rubber rail tie. Steve holds patents on the process and manufacturing of the rubber railroad tie in US, Canada, Mexico; and patents in 32 other countries around the world including China, Japan, United Kingdom, and India. As the Executive Vice President of Business Operations and Sourcing, Steve will be instrumental in the production of the tie product and setting up general manufacturing operations including raw material sourcing. ill Hansen has a degree in Accounting and has over 40 years of experience in public accounting. Bill has been a controller and held executive positions in the banking, education, real estate, manufacturing, and proprietary products industries. Bill was an integral part of the rubber railroad tie patent development and manufactured the initial production run of the rubber tie in the pilot factory. As the Executive Vice President of Research, Development, and Finance, Bill will continue to develop the tie manufacturing process and set up financial systems. Sam Bulkeley has a degree in Civil Engineering and has 40 years of oil industry experience in various technical and managerial positions in engineering, environment, health and safety fields. As the Executive Vice President of Environment, Health, Safety, and Engineering, Sam will be managing all aspects of developing workplace safety programs and culture, environmental permitting, and engineering for plant operations. His main focus will be ensuring that all OSHA and environmental regulations are being met. Thad Bulkeley has a degree in Construction Management and has worked in the heavy civil construction industry and was most recently the VP of Operations for a nation-wide equipment rental company spanning 38 states. As the Executive Vice President of Business Development & Strategy he is responsible for marketplace and strategy analysis to help capture growth potential in the industry. Thad will also guide the corporate development function of the business; developing the overall field support structure. Eddie Gomez has an Associate’s Degree in Business/Agriculture and has worked in the tank and pipe manufacturing industry. Eddie also has extensive background in the real estate market having 14 years of experience as a loan officer. As a member of the Hansen team, Mr. Gomez will be responsible for working with local contractors and government agencies on plant construction, operation, and grant applications. Bob Routsong has over 28 years of experience in managing foreign affiliates and licenses and marketing products internationally for Hughes Aircraft Company. After retiring from the aircraft industry, he became co-founder of two start-up enterprises in the energy industry. As Vice President of International Development & Licensing, Bob will develop our nondomestic operations and ensure that our interests are maintained from a legal perspective.